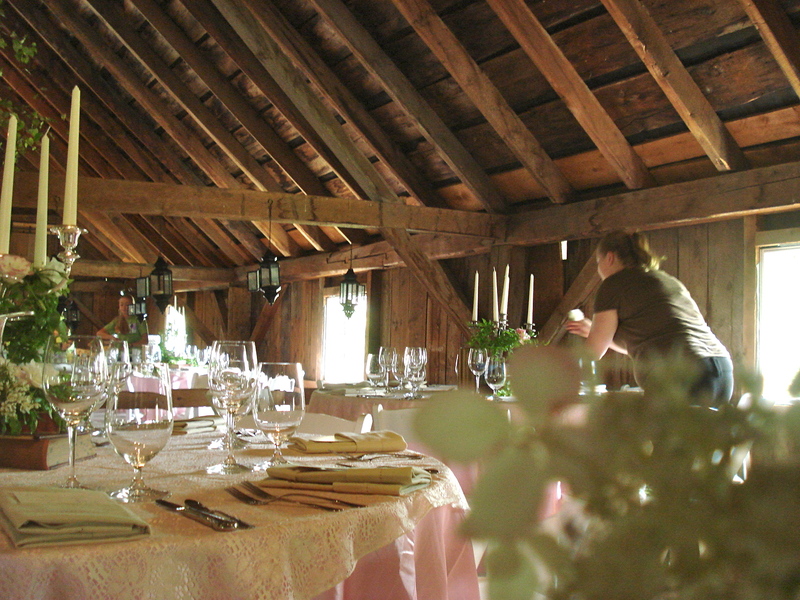 Fall is the Vermont’s most popular season for weddings. I am delighted to work with brides with so many unique personal styles. From making simple bouquets to transforming entire spaces… here at The Painted Tulip we are busy bees. The weekend of August 27-29 was our biggest wedding weekend ever. Turning a simple barn setting into a woodland wonderland followed by wedding designing through a hurricane. Phew… hope we never have that happen again! Because we are still submitting the weddings to magazines and blogs, I am just sharing a few bits and pieces of what we have been up to in the past weeks. Spencer Leonard shared some images of us working at The Mountain Top wedding , during Hurricane Irene. Our most recent appearance in the press was in Hindsight Bride from a June Mountain wedding…this post is so wonderful. It should not be missed. Credit goes to Alanna Scully for this amazing photography. More wedding posts to come as the photographers are starting to finish their final edits!